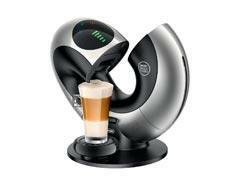 DELONGHI Eclipse Nescafe Dolce Gusto Pod Drinks Machine. Dolce Gusto® Eclipse automatic pod coffee machine unlocks coffee creativity with its advanced features including a unique automatic opening mechanism. 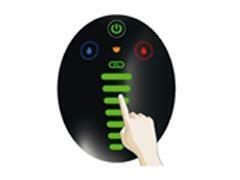 Press ON / OFF icon. Machine moves automatically to beverage preparation position. Close machine manually. 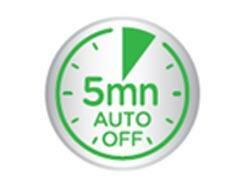 Thanks to the energy save function the machine is automatically turned off after 5 minutes of non use in order to reduce consumption. Thanks the intuitive interface you can select Cold water (icon), XL volume function, Hot water (icon) and touch volume selector.